Where ever you plan to have your ceremony, be it by the beach, in the middle of a lovely garden surrounded by trees and birds, by a pond inside at a reception or amongst the vine’s at the Yarra Valley. 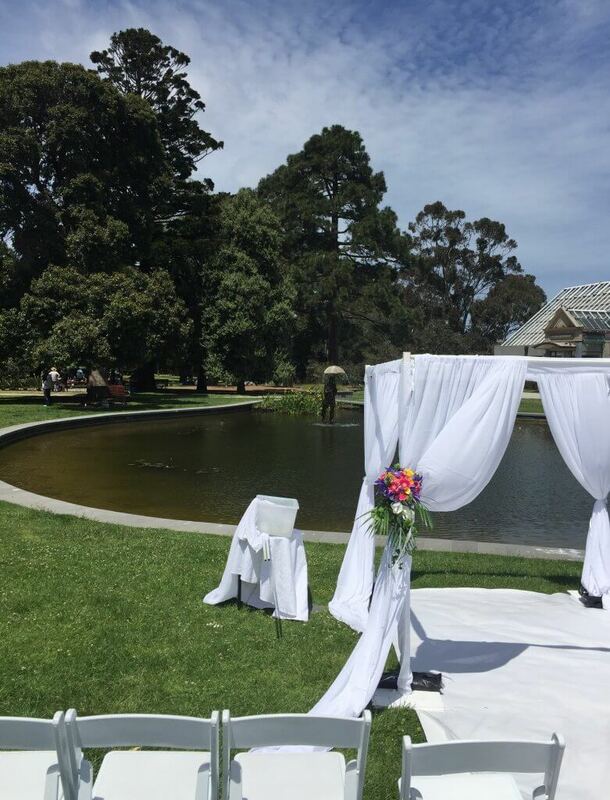 Melbourne is sure to have the perfect back ground for your ceremony. Let Bayside bridal bouquets design your ideas ceremony to set the scene for your perfect wedding or any occasion. This entry was posted in Bayside Weddings and Events and tagged @vintageweddings, #apricot@creamflowers, #baysidebouquets, #beachweddings, #beaumaris, #blackrock, #botanicalgardens, #bouquets, #bride, #bridesmaids, #buttonholes, #chuppas, #corsages, #easyweddings, #groom, #melbourneweddings.